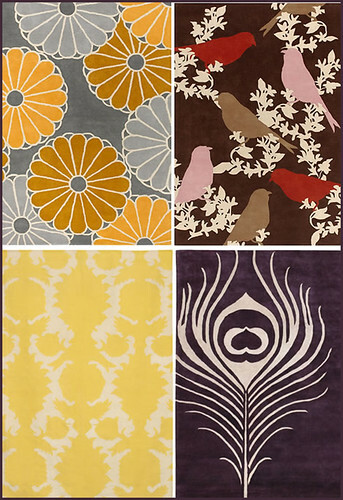 Domestic Modern has an amazing collection of rugs. Someday when we move to a bigger apartment I would love to have one of these Thomas Paul designs above. Domestic Modern recently interviewed me on their design blog. Check it out. Cute rugs! I would definitely get something like that for my place. I love this one http://www.domesticmodern.com/Green-Floral-Rug.aspx Great interview too! They really are so pretty. Almost too pretty to step on. I love your green floral choice. If only the prices were a little less steep. Those are RUGS? Astounding! I’m so rug picky, now I know where to go to find something great.